I'm back at it again with the wax melts! After the holidays, I didn't really have any new scents to melt and I caught a cold, so I was out of the game for a bit. Now, I have new wax to try! 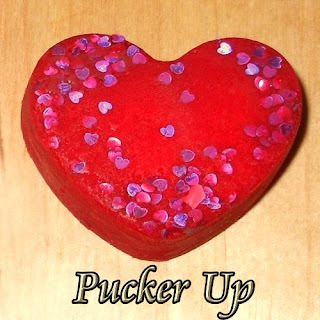 Heather's Hues is mainly known for nail polish, but she had started to create wax melts. Nail polish and wax melts are my favorite things so I love that makers are doing both these days! Heather has some new Valentine's themed wax melts scents and asked if I was interested in reviewing some of them. I excitingly agreed and I have a few of those to share with you today! 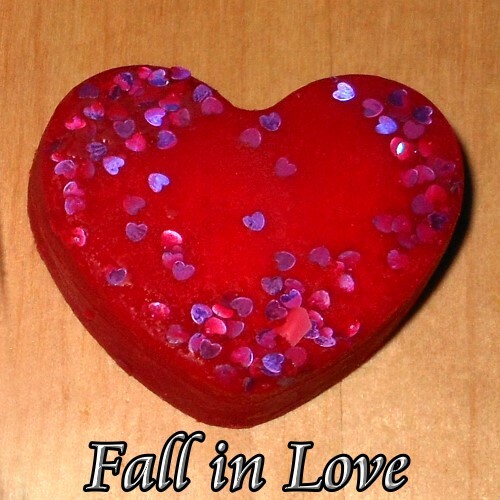 Heather's Hues wax melts are made from 100% soy wax. 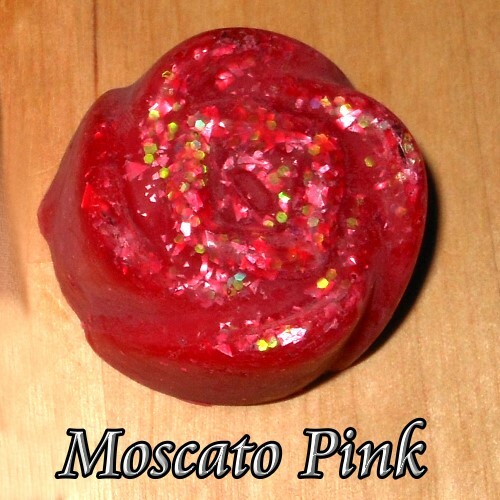 They're a softer wax and come in fun shapes with beautiful decoration. 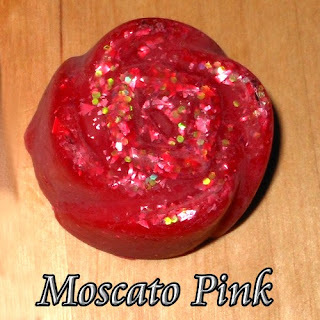 I'm not usually one who needs pizazz with my wax like I do in nail polish, but I do love how pretty and fun these are! Let's get started with the individual reviews. My Thoughts: This is a prominently fruity and bright blend balanced out with some floral notes. I'd describe this scent as vibrant but it has a bit of softness with the sandalwood to mellow it out just a tad. The throw as moderate. My Thoughts: This scent has a lot going on! I get a definite tropical citrus note (it's not listed, but I'm getting pineapple), the wine note, and floral and coconut in the background. This is another bright and punchy scent. It's like a tropical fruity drink on steroids! This scent is a bit much for me. I like it on first sniff, but a little goes a long way. This one had a strong throw. 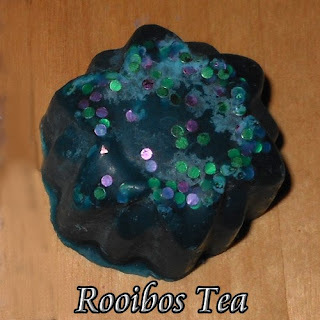 My Thoughts: I love tea scents and this one is really great. It's very strong too which is a nice because most tea scents I have are fairly light. This smells like good ole southern sweet to me. It's a very sweet tea scent with some background floral notes. My Thoughts: This was my favorite scent of the bunch. Despite all the notes I found it to be a very soft and clean scent. It's a nice fruity/floral blend which is softened and elevated with the sandalwood and musk notes. Unfortunately, when I melted this I hardly got any throw off of it. My Thoughts: This was my second favorite scent in this lot. I think the description is spot on. It's a cleaner and softer scent. I like the blend of berries, vanilla, and floral. It's a nice scent combination that isn't overpowering but still, makes an impression. This one had a moderate throw. 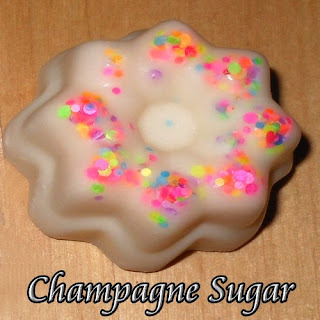 My Thoughts: I love the fresh air note in this one it really is unexpected and adds a great dimension to this scent. I get a sugary berry scent as the main note in here with a hint of floral and the fresh air to really round it out. It's really a unique scent that is unlike anything I've tried before. This one had a moderate throw. Where To Buy: You can purchase Heather's Hue's wax melts on her etsy site. You have two options for purchase. 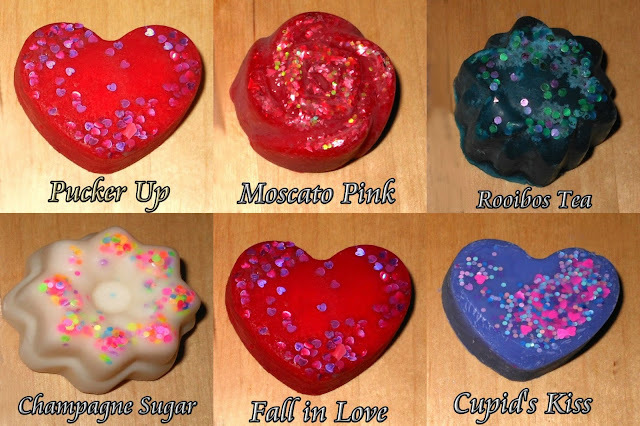 You can purchase one large melt or pack of smaller melts. The smaller pack of melts is $5.00 and the large melt is $5.30. 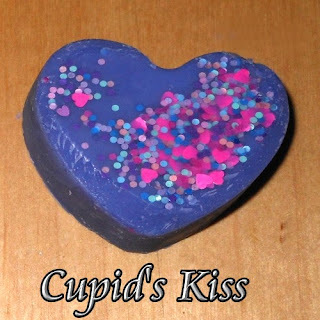 There are also a few Valentine's scents I did not review, so be sure to check out the list under "New Scents" to see what else is available! Overall: I really enjoyed these melts and they definitely pushed me out of my comfort zone. These were unique and complex blends I'm not used to trying. I'm more of straight forward scent person, but that gets boring after awhile. These were bright and very fitting for the Valentine's theme. My favorites of this bunch were Fall in Love, Cupid's Kiss, and Rooibos Tea.